Sadly, my Summer holidays are ending. I have mixed emotions about this as I will miss being able to sleeping in every day and do as I please but I am looking forward to seeing all my friends on a regular basis once again. So I have decided to do a Summer Round-up, so I don't feel like I wasted the whole Summer doing absolutely nothing. I should really get an award for this! I survived my first set of state exams. Teachers talk about this for 3 years and it is just a piece of paper at the end of the day. It actually wasn't that stressful the exams itself but the few months before haven't been the most pleasant. This by far is the best Summer highlight as firstly it is my first official concert to go to and secondly it was one of my favourite singers. Also, my friend Isabelle and I fangirled the whole way through the concert. As I have blabbed on about before, I am a part of a collab blog The Little Chatter Boxes. 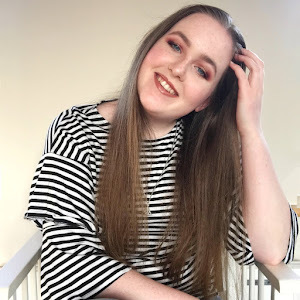 I have never been a part of a collab blog before and I have learned so much from this experience like not writing posts the day they need to go up! I had never gone to Lush before until in June when I stumbled upon it on Grafton Street. It had always heard great things about the brand and now I am now slightly obsessed with Lush especially their face masks. I finally decided after years of wanting to set up a YouTube channel, I bit the bullet and started a YouTube channel which I do covers and original songs. I think I ended up going up to Dublin about 4 times, it was all for different reasons some were to see relations, I went on holidays with my family to Dublin and to go to Ikea (it is the nearest one to me). My family and I went down to Cork for a few days as my Dad had got a voucher to make a stool in a workshop in Cork. It was beautiful there, the weather was beautiful and we went swimming every day. I'm kinda shocked that my blog has hit 2000 views over the Summer. In my TY Bucket list, I wanted to get to 2500 views by August 2016 and at the time I felt like that would take months! But now I think I will definitely get it before 2016 starts! For some people may think this is a lot or a little but I'm pretty happy with that. I have found a new show that I love and enjoy. This one is a bit of a step outside my comfort zone as up to recently I thought I didn't like horror movies (but I actually do). I loved season 1 &2 of AHS as the storyline and the general creepiness is wonderful. I am now on season 3 which in my opinion is not as good as the first two (but Rotten Tomatoes says otherwise). Finally, Paper Towns is out in Ireland. I went to see it with a group of friends. It has been a while since I read the book so I don't remember the book in great detail but I really enjoyed the movie. I haven't really mentioned this but I started writing a play a few months ago and I finished it during the Summer. I sent it into my speech and drama teacher and she said it will be used for one of next years plays. It isn't a full play, a normal play has about 3 acts while this one only has one. When I went to cork, I did a 2 hour surf lesson which was so enjoyable. I had done surfing once last year and I loved it. The only thing if you aren't a very sporty person (like me), you may have sore arms the next few days. My aunt told me about this excellent free online course website Alison.com. It has tons of courses from finance to IT skills. I am currently doing a course on financial literacy. During the school year I could just about get up 1 blogpost a week but recently I have been doing 3 a week since I have had plenty of free time. 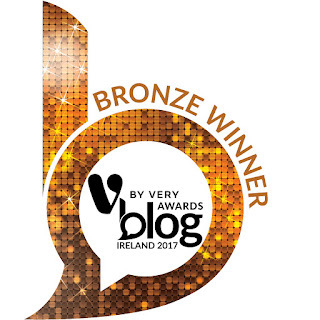 I know some people mightn't make a big deal out of this but since I only started my blog 7 months ago and to be long listed for an award is unbelievable to me. wow you did so many cool things during the summer..